Write it in the sky, write in the earth, write it in the heart of the people, the greatest thing is love. 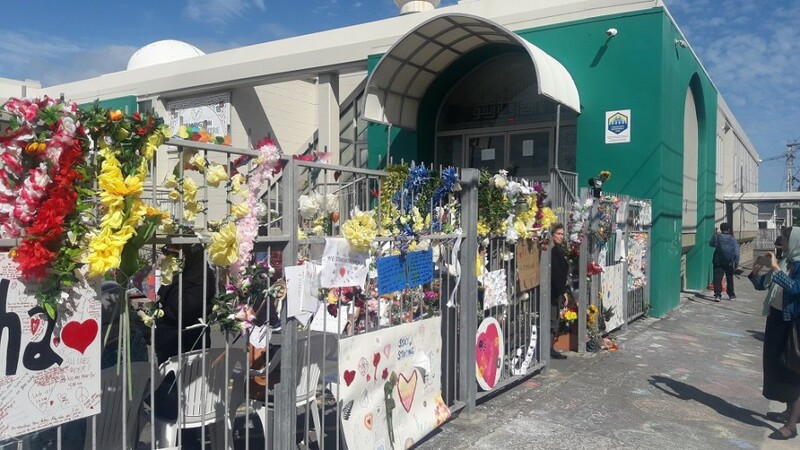 The New Zealand Council of Christian Social Services (NZCCSS) is deeply shocked and saddened by the absence of humanity towards the Muslim community in Christchurch last Friday. We stand in solidarity with our Muslim brothers and sisters and we choose to respond to this unimaginable event with Love, Unity and Peace. In Christchurch and around the country there has been an outpouring of love and support for victims and their families. Aroha has won over violence as it will always do so. NZCCSS particularly wishes to acknowledge the work of our Christchurch social service members who once again have been called to support people in crisis. This support will be needed over a long time as people seek both practical and trauma support to rebuild their lives. There is much to reflect on in terms of the wider context in which this event has happened, what lessons need to be learned, and what needs to change both here in New Zealand and internationally. We will leave this for another time. Today we wish to focus on statements by our Church communities, and on their calls for prayer for our Muslim families and for peace and solidarity. Write to MPs in support of stronger gun laws and an immediate moratorium on sales of automatic weapons. Pray for all those affected by hatred, discrimination and violence. Holy God of mercy and compassion, pour down your embrace and love on all the world. In places of strife, violence, and death. We pray for the communities in Christchurch. The victims of this horrific tragedy, their families and the whole of New Zealand. May your grace and power surround us all. Giving strength and courage in the face of hatred and evil.